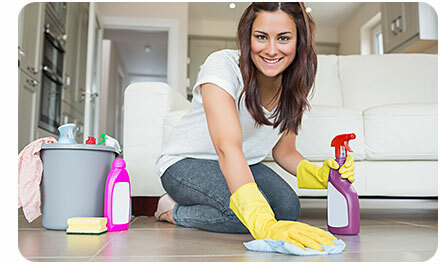 Spring Cleaning Your Internet Presence - A Digital Marketing Agency | IIAS - International Internet Advertising Services Inc. The World Wide Web traps everything that hits it, and you aren’t the only one publishing information about your company. There are directory sites that collect and compile information, customer review sites open to public commenting, social media sites and search engines that create pages in organization names, and many more ways for others to create confusion and mistrust about your business. At least once a year, you need to take the time to have a good look at what others might be seeing when they come looking for you. Start with your own website. Does it still accurately describe your products or services? Scan each page for phone numbers, addresses and other contact information. Look in the footer (very bottom of the page) and throughout the text, as well as on the contact page. Send a test message to email addresses given, and through the contact form, to make sure they are getting to the right people. Bigger brands and certification and governance agencies for professionals often list businesses and people who offer their products or services. Check any sites you’re associated with to make sure they are providing the correct contact information. Even if you don’t use social media for your business, log in to your personal account or ask someone else to search Facebook, LinkedIn, Google+ and other social media venues to search for your business name. Facebook and Google+ both make a habit of creating pages automatically that you may not be aware of. You may also find reviews and comments about your business. As a final check, do a Google search for your business name (as well as the former names of your business and names of any businesses you used to be associated with) and check every result that comes up. You may be very surprised by what you find. Fixing inaccurate information is not always easy, but there are ways. Many websites will let you “claim” the page they’ve created or correct the information by setting up an account. Once you’ve gained control, you can change the information yourself. For other sites, a method of contact will be shown somewhere, although you may have to hunt for it. Send them an email with what you want changed, and follow up in a week to make sure the information has been corrected. If you have any difficulties and want us to help, copy the page address(es) into an email and send the list to us. Alternatively, if you’d rather just have us take care of spring cleaning for you, give us a call. 10 Simple Tips for Refreshing Your Brand Is your website out of style?